It is gratifying that several writers have taken up the vital topic of pesticide use in agriculture (6th of February, Island). Dr. Ranil Sananayake (RS) has claimed to “rebut” what I wrote. I stated that our soils are NOT laden with toxic agrochemicals, and that they support a thriving ecosystem full of bugs and worms. They attract egrets and other birds when the soil is tilled. I claimed that the crops from our soils are safe to eat. RS seems to hold that our soils are full of toxic agrochemical residues that have harmed biodiversity. Dr. Anura Widanapathirana (AW) has called for ‘proper controls on pesticide use’ and I agree with most of his views. RS says “There are only Egrets left (and sometime a few Ibis), these are the most resistant to toxins in the chemically changed paddy fields we have today….The earthworms and bugs … are again only those species with a high degree of tolerance, the rest have disappeared”. 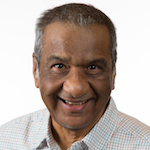 He proceeds to a personal categorization of me as carrying on “some narrow minded personal vendetta against, other Sri Lankans (misguided or not) to bolster … the economically utilitarian view of the world …. In this, he shares the stage with … politicians and bureaucrats who believe that development is only measured by the GDP. Public health … is of little consequence”. Surely, Dr. RS is unaware that our politicians believe only in aggrandizing their own pockets and not the GDP! He accuses me “of colossal ignorance … in ornithological history and confusion with the soil ecosystems of highly fertilized (HF) and traditionally farmed (TF) fields”. I had nowhere claimed that development is only measured by the GDP, or ever given one-parameter explanations of complex entities like an economy or a ecosystem. I was NOT comparing HF systems and TF fields. The main concern was whether the HF soil is full of harmful agrochemical toxins or not, and my answer has been that field studies have shown that the toxin levels even after several decades of agrochemical use and indeed MIS-USE, are well below the maximum tolerable levels (MTL) set by the WHO and the FAO. 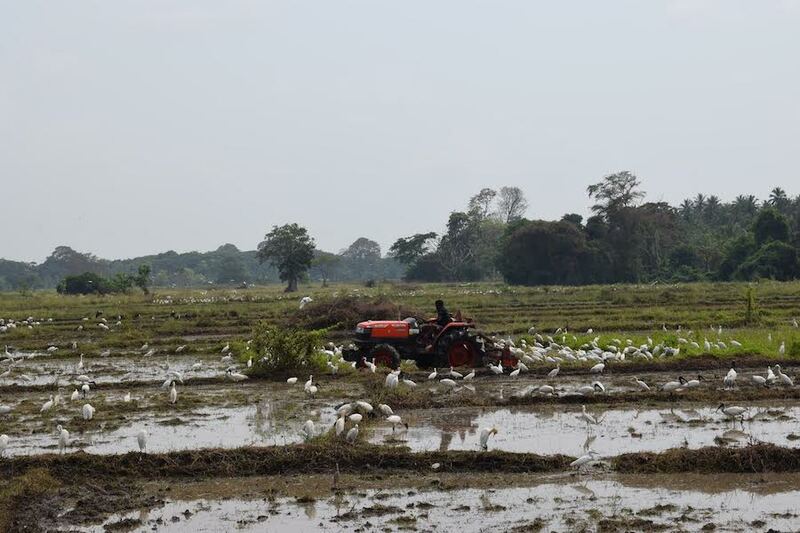 In answering Mr. Siri Pathirana who identifies himself as a simple farmer, it seemed better to use the flocking of birds to paddy fields rather than give technical data or references to the scientific literature. It was Dr. Sarath Amarasiri, an ex-Director General of Agriculture who initially used this very apt indicator of a healthy soil in popular discussions, and I concur with him. Dr. RS, after accusing me of “colossal ignorance of ornithological history”, proceeds to show his colossal knowledge of the subject by essentially claiming that the loss of biodiversity is caused by a single cause – the use of “toxic” agrochemicals in highly fertilized agriculture. Of course, only the colossally knowledgeable would dare to present such single-cause explanations of complex issues like ornithological or other types of biodiversity. However, just as the simplified five-lesson political analysis of the early JVP was very attractive to many members of the public, the simplistic theory that agrochemicals are THE cause of loss of biodiversity and most health problems – be it kidney disease or alzheimer – finds easy credence with the populace. Hence the rise of the likes of Ven. Ratana, Vandana Shiva in India, and similar “Green champions” in many countries, claiming that we must return to “natural” agriculture; some even reject vaccinations, immunizations, fluoridation of water, and other public health initiatives. How can Dr. RS say that earthworms and egrets are the most hardy against agro-toxins? He should give a quantitative criterion (e.g., the LP50 values/weight) before he rushes to print. Only the Pope can make unsubstantiated ex-cathedra statements, being allegedly infallible when he speaks on matters of the faith. The earthworm is a most sensitive creature widely used by scientists as a barometer of soil health. At a more microscopic level, the total micro-organism biomass, as well as, say, the distribution of the mass spectrum of the micro-organisms can be used as measures of the health of the soil. If we consider a widely used agrochemical like glyphosate, numerous studies show how earthworms become healthier when the naturally or industrially occurring soil cadmium and other trace heavy metals are made insoluble by the glyphosate residues that reach the soil during spraying. For a recent study, see: Zhou et al, Environmental Toxicology and Chemistry, vol. 33, p 2351-2357 (2014). Similarly, regarding the effect of glyphosate formulations on soil microbes and microbial community structure, see: Lane et al, Pedobiologia, vol. 55, pages 325-342 (2012). Dr. Widanapathirana also makes anecdotal claims of loss of biodiversity, e.g., that there are fewer leeches, both on land and in water. However, is this predominantly caused by agrochemicals? Dr. W does not say that harmful levels of pesticides are found in the Sri Lankan environments. It is true that hosphate levels in water rise above tolerable thresholds seasonally and produce algae blooms. But there is ample evidence that the ambient pesticide-residue levels remain well below the tolerable maxima. The WHO-NSF study on Chronic Kidney disease examined the pesticide levels and metal toxins in the North Central Province (Jayatilleke et al 2014) and found amounts well below WHO specifications. There are many other studies that support the same conclusion. For instance, the study reported by Aravinna et al. [Journal of Environmental Science and Health, Part B, vol. 52, p. 37–47. (2016) ] confirms the lack of significant amounts of pesticide residues in Sr Lanka’s environment. The WHO thresholds are set, mindful of bio-magnification of pesticide residues on plant uptake. Dr Widanapathirana says that “In contrast, the paddy fields in Myanmar, Laos and Cambodia are full of fish and other edible creatures” and suggest that these countries use less agrochemicals. World bank data for agrochemical use taken as they are confirm what Dr. W says. However, their fertilizer inputs to paddy fields are similar to those of Sri Lanka when the very high usage in tea estates is factored out. But there is no doubt that, optimally, much less fertilizer would be used if the free market in agrochemicals is abolished. So, while the residual pesticide load is low, Sri Lanka’s environment, both rural and urban, is full of partially oxidized petroleum, kerosene and diesel residues, with vast amounts of highly toxic particulate matter. I n addition, garbage containing plastics are regularly burnt in urban and rural locations. The ambient amounts of toxins in the air greatly exceed WHO specifications by factors pf thousands. Toxins from fossil-fuel exhaust have a marked effect on biodiversity, especially as they occur at levels above thresholds. But those who wish to ban agrochemicals and wax eloquent about traditional farming remain mum about adopting traditional transport. “Green” politicians like Ven. Ratana, and the not-so Green ones import and sell their duty-free cars on the black market! Furthermore, politicians are pushing for the installation of coal-fired power stations which are notorious for their polluting effects as well as their capacity to fill their bank accounts with commissions. Loss of bird biodiversity will be reflected at every level of an ecology, be it butterflies, bees, earthworms, earwigs or amoebas. It is common to find e-mail messages from the so-called “AVAAZ team” soliciting donations to fight agribusiness claiming that bees all over the world are decimated by agrochemicals. This is similar to Dr. Senanayake directly equating the loss of bird biodiversity to toxic agrochemicals. Interestingly, contrary to the claim of the AVAAZ team, the populations of bees have increased by 40% according to Prof. David Goulson of Oxford University and collaborators ( Science 27th Mar 2015: Vol. 347, page 1255957 ). What has been decreasing rather dramatically are the WILD BEES. If some whiffs of the spray of neonicotinoids are claimed to spread even to the wild bees and affect them, then why aren’t the honey bees similarly affected? While pesticides and other secondary causes like the emergence of new types of parasites play a secondary role, the MAIN REASON for the decline of wild bees, butterflies, leeches etc., and indeed the decline of biodiversity in general is the LOSS OF WILDERNESS HABITAT. Human encroachment, be it for housing, roads or organic farming, destroys habitat. The destruction of habitat for human use since independence in Sri Lanka has been truly extensive, given a population increase of a factor of four. Biodiversity has been the victim. However, adopting organic farming makes matters worse. Organic farming needs two to four times land and water to obtain the same yields as with hybrid seeds using methods of modern intense agriculture etc., that require no tilling (i.e., no erosion and less agrochemical runoff). In contrast, organic agriculture causes grater habitat loss and erosion. The research report by high-priests of organic farming headed by Dr. Adrian Mueller of the Swiss institute of Organic agriculture implicitly verify these negatives of organic farming. Dr. Widanapathirana emphasizes the need for effective controls and farmer education. I fully concur with him. In fact, it is not just farmers, but also the general public who must be made aware of the safe use of agrochemicals. During my tenure as a Professor of Chemistry and a Vice-Chancellor of a Sri Lankan University in the mid-1970s, I took pains to introduce mandatory course units in environmental science to our science graduates. We also introduced, for the first time, specialized courses in food science and technology to deliver healthy food to the public. Unfortunately this does not seem to be true of current course content in Sri Lankan B.Sc courses. Agrochemicals should be controlled (not banned) within a precautionary principle, almost as with pharmaceuticals. Every substance becomes a toxin – be it vitamins or even salt and pepper – if the recommended dose is exceeded. The same is true for soil toxicity. It is the technical officers of the Department of Agriculture (DOA) who should issue permits for releasing optimal amounts of fertilizer and pesticide needed by each customer, depending on the local conditions and the cultivation cycle. The DOA officials can advise the farmers on crop rotation techniques etc., that can be used to reduce the needed pesticide and fertilizer inputs. In fact, a rudimentary control system existed prior to 1977, but it was axed on the alter of the free market when “Mudalalis – i.e., henchmen of the local politicians – began to sell agrochemicals for as much profit as possible, together with other general merchandise. Dr Ranil Senanayake quotes Hon. DS Senanayake, a great agriculturist and Prime Minister who pushed forward modern farming, modern irrigation, and unhesitatingly used DDT to combat malaria. Hon. DS Senanayake had said that ‘Development of our nation should be measured by the larder of the poorest of its homes’. Indeed, if RS expects the poorest of the land to stock their larders with organic rice at 5-10 times the price of normal rice, and with bottles of “spring” water (in a plastic bottle to boot ! ), then he does not realize that some 40% of our school children come to school hungry. I must say Darme, even I am getting sick of your continued, useless attempts to push chemical poisons in our mother country. I resentyour attacks on people who are exercising their right to engage in organic farming. even more. You lost credibility when you suggested that people eat cadmium to balance arsenic toxicity in rice and the Californian glyphosate poison case was the final nail on your coffin. People just laugh at the persistence of merchants like you and WhydoyouNatha. By the way, your friend J in the APVMA sends his regards from Kotte.. Accept it is over and wait for the call from hell. Oh, what a futile attempt to promote agro-chemicals! There is absolutely no connection between organic farming and school children coming to schools hungry. Until the Green Revolution in 1960s (1965?) which introduced chemical fertilizers as a way to boost rice supply, Sri Lankan rice farmers followed traditional methods which preserved ecological balance. I didn’t see Ranil Basnayake’s article, but his assertion that our soils are full of toxic agro-chemical residues, is true. For an example; if we convert our tea industry to organic tea starting from today, we can claim our tea is organic only in 2022, after 3 years, (standard period) as the soil has residues of chemical fertilizers. The biodiversity destroyed by agro-chemicals can only be resuscitate by organic farming. I am a big fan of organic farming. It is time we return to nature!!! Champa, I think we have to agree with the writer that it is human encroachment into the wilderness habitat that has destroyed biodiversity. They are cutting up Wilpattu and even Sinharaja, and politicians are digging up the ground and selling even the sand. Some very powerful businessmen in Polonnaruwa started their life with the illegal trade in sand and then also became owners of all the rice mills there. Leave aside organic crops, these mudalali types don’t let the farmer get a good price even for standard rice and other crops. Anyone like you who access the internet and write to the Colombo Telegraph can afford organic food. But asking the masses to eat it is like Marie Antoinette asking the people why they can’t eat cake instead of looking for bread. I was not talking about the high price of organic rice. I was talking about the destruction brought by agro-chemical-based conventional farming and its impact on biodiversity and people’s lives. There are many reasons for organic rice being highly priced such as; slow in growth and the long time it takes to harvest, manual labour, organic fertilizer being expensive, small extent of the land allocated for farming and shorter storage time period. In addition to that, chemical-fertilizer-based conventional farming gets more government subsidies than organic, reducing overall cost of their crops. Many steps can be taken to reduce the cost of organic farming and increase supply so that the prices will come down. About rice mudalalis, yeah, what you say is true. If there should be a formula for rice, it should be more or less like, when the purchasing price of paddy is Rs. 40 a kilo, the rice should be sold at Rs. 60 , NOT at Rs. 100 a kilo. And farmers should be encouraged to sell rice instead of paddy, so that they can cut out the middleman and control the price of rice while having a better rate for their harvest and labour. There are simple ways to do this. I get many ideas even while typing this. — About Sinharaja, yes, there is a road WIDENING project, more than a road RENOVATING project. The government is hell bent on going ahead with the project and their excuse is that it was approved by (Chandrika’s Cabinet) in 2004 and Mahinda’s government has executed it to a certain extent (disregarding protests by environmentalists and nature lovers.) The entire project will clear approx. 5383 HECTARES in the Sinharaja forest, which is alarming. The Opposition keeps mum on this matter. — Then the razing down of the Wilpattu forest reserve, Knuckles mountain range forest reserve and Omantha forest reserve (logging racket) goes on with the involvement of politicians, without any hindrance. — The latest is the contract given to a Chinese company to build a road through the Beligala forest reserve, recklessly razing down the virgin rain forest, using backhoes and other heavy machinery. Interestingly, President who happens to be the Environmental Minister also keeps mum without taking any action to stop this destruction. The government has given many more contracts to foreign companies to raze down virgin rain forests and woodlands which will also cause a depletion of wild animals and plant species. Why everyone is silent, I don’t know. Hello Mr. President, it is time you remember that, as the Minister of Environment, you should take full responsibility of this destruction to our rain forests and their pristine ecosystems. population of just the Capital is bigger than the total population of the country then. So you need to produce much more per acre of farmland, i.e., modern intensive agriculture. Or use traditional methods but expand the farm area by a factor of four or five, and also increase the amount of water and the amount of labour. That leads to environmental damage, and also we live in a small Island of finite area, with finite means, and we cannot do that. given by the Yahapalanaya government which tried to force those methods even on the Tea grower, by banning glyphosate. The farmer has to have the freedom to choose ORGANIC and/OR modern intensive farming, because framing is his livelihood. He should not be dictated by Bureaucrats. But I agree that agricultural scientists must control the maximum allowed inputs. In Qatar, a Muslim country which is mostly desert, intensive farming is done, using 6755 kg of agrochemicals/hectare, while Sri Lanka uses about 130 kg/hectare. In spite of that, there are NO HEATH problems or toxicity problems in Qatar and I am sure this will continue Insha’Allah! People like Venerable Ratana should first give up their robes and then take to agriculture or what ever. A monk is forbidden by the Vinaya rules to engage in agriculture or even grow a basic home garden in a temple because (i) that leads to attachments (ii) that leads to the need for killing pests. Now Ven. Ratana is said to be ready to kill the Sena caterpillar in millions. So even the five precepts are violated, let alone the 225 Vinaya rules that a monk is expected to follow! Those who have renounced the world of the layman should not exploit the robe for politics and also import duty free cars and sell them. That is not only contrary to the Vinya, but it is also illegal. We should thank the author for emphasizing habitat loss . This is a severe threat to the environment which is not sufficiently opposed by the environmental lobby which is hung up on things like glyphosate. Even the Sinharaja is threatened. A news Item in the island says: “A controversial road development project, which, enviornmentalists, say is in the Sinharaja forest, would be carried out as scheduled, Mahaweli Development and Environment State Minister Ajith Mannapperuma told parliament yesterday. He said the forest would suffer no damage“. Add to it the removal of granite and sand for building mega-cities that one of the Minsters who pushed for a “Toxin Free Nation” shows their hypocrisy. Granite and sand will not grow back once removed and put into the “PORT CITY” and once the best part of Western Province becomes a concrete jungle forming the “Megalopolis”. Yes, Port City is going to be a concrete jungle and it is another controversial project I was totally against from the very beginning same as other nature lovers, as its reckless sand dredging near the coast disturbing underwater topography will one day have a harmful impact on the shoreline and adjacent traditional cities as no precaution has been taken at all. The government should not be allowed to construct a second Hong Kong with sky high buildings in the Port City, which will reduce, block and then vanish the world famous Galle Face Green and its gorgeous panoramic sea view. Chandre again valiantly pushes his agenda downplaying safety issues concerning agrochemicals rather than advocating for stringent controls which allow for optimal mineral supplementation of soils. Credible studies have proven the effect of cadmium (and lead) in kidney failure, and the International Cadmium Association states that over 40% of all human exposure to cadmium occurs via use of fertilizer, especially TSP. Chandre also glibly tries to downplay the contribution of hill country water run off, which carries material amounts of excess fertilizer in suggesting that Sri Lanka’s use is similar to those of Myanmar, Laos and Cambodia. This water eventually enters the reservoirs used for irrigation in the NCP, and serves to concentrate heavy metal toxins there, making it the most likely cause of CKDu. If one speaks to the technical officers of the DOA, they will admit to failure in directing farmers’ use of fertilizer, which is now the preserve of fertilizer barons who directly approach them to prescribe far more liberal use. This is another example of ignorance or wall-papering this fact. Lastly, there is no merit in talking about Coal-fired power plants, plastic pollution and fossil fuel combustion products to push this agenda on agrochemicals – these are bad, no doubt, but also irrelevant to the discussion. unconnected with the water table of tanks and paddy fields as they are in high ground. These wells contain brackish water with a high amount of geological fluoride. It has been confirmed that when rats are fed with such water, they too contract CKDu, in experiments done by Dr. Tammitiyagoda of the veterinary department of the University. The results were Published in the SL medical Journal. I think IFS has also done more detailed experiments proving it. The very tenuous conclusion that cadmium plays a role in CKDu that the Jayatillake et al came to in 2014 turns out to be wrong because it was later shown that the control group (without CKDu) had more cadmium inputs than the endemic group with CKDu. The later study by Levine et al has also shown that cadmium concentrations are negligible, and so it plays no role in CKDu. The hill country water is taken down by all rivers (be it Kelani, or Kaluganga or Mahaweli. There is no CKDu along almost all revers except near mahaweli basin and that too only in areas with geological fluoride. People at the geology department of Peradeniya University lik Prof. Chandrajith have analyzed the water in these rivers and shown that there is no significant amounts of cadmium or arsenic in such waters. I think others have also found the same result. Fertilizers have phosphates, and cadmium phosphates are very insoluble. The cadmium is found in parts per million while the phosphates are the main component in fertilizers. So cadmium is forced towards the insoluble form. Chandra dhrmawardane : You have some HATRED towards Srilanka. What Sri lanka had 50 years ago using native varieties and no fertilizer and no pesticide was organic farming. what we have today using improved varieties which need fertilizers and pesticides is now safe. Why Canada had Integrated pest management. You are very dishonest and hate Sri lanka for some reason. Earlier Sri lanka had Rice and could complete meals with that Kurankkan, Manioc, sorghum, Corn or Maize, various kinds of Yams. World bank said that there must be a greener revolution as the world would go hungry because of the lack of enouigh foods. That was before the 2000 millinium project. So, the world introduced improved varieties which needed fertilizer and pesticides but the wolrd hunger did not come. Instead govt say eat rice for the all three meals. It is a mess there. There is no safe use of pesticides. Pesticides is for the ultimate use and only as the last resort. I fully agree with what the geologist has said. The population of Sri Lanka in 1948 was 6.7 million and today it is around 22 million. Self sufficiency in rice was achieved mainly due to the efforts of our agriculturists who introduced high yielding varieties which in turn required agrochemicals. Of course agrochemicals are misused and the fault is because Ranasinghe Premadasa overnight abolished the system of agricultural extension officers and converted them to gramasevakas or waga niladahris. Framers get advice from agrochemical traders and they recommend multiple pesticides at higher doses. What is required is the prudent choice of agrochemicals and not their ban. What will happen if we get rid of pesticides? Then we have to import rice from Bangladesh laden with arsenic. These environmentalists should be pragmatic. Loss of biodiversity is due to encroachment of jungle, intensive agriculture. This is what Chandre is telling us and it is no surprise that the piece by Dr. Rohan Pethiyagoda in this journal in reply to Chandre received no response. Darmawardana, why don’t you respond to your former devotee Bodi Danapala who used to sing your praises endlessly? An important problem with organic farming that the writer Dr. Dharmawardana has failed to mention is the impact of increased organic farming on global warming. Organic farmers insist on using compost. The job done by a kilo of mineral fertilizer has to be done using at least a TONNE of compost because the amounts of N, P, K present in compost is in a very dilute state. and hence, any increase in organic farming might be the straw that will break the camel’s back. If organic matter is to be composted, then that should be done in central facilities in a manner where the methane (CH4) is captured and converted to carbon and hydrogen. The hydrogen can be burnt safely as a fuel and will not contribute to global warming. This means, organic farming becomes an integrated part of industrial farming, and not the “traditional farming” that people think of. In Jaffna peninsula we used to have traditional farming in the old days when I was a kid, and what we have today is farming where mineral fertilizers and pesticides are used. Even during the Eelam war the pesticides etc., were available as they were easily brought here from India. Today there are no young people to do manual labour in the hot sun to do traditional farming, and also there is not enough water. Traditional farming needs more water and it is very much more dependent on the weather and subject to pest attacks . Trying to do traditional agriculture today is like trying to put Humpty Dumpty back on the wall. City people who have not tried farming for a living have nostalgic views about “traditional farming”, and this is very far from reality.